Lý Tống biểu tình đòi West Coast Eyecare bồi thường vì làm hư hại mắt. Bác sĩ nói với Lý tống là chi phí cho việc lắp kính mắt tốt nhất, đắt tiền nhất giá $6000 thì không phải mang kính. Lý Tống đồng ý và trả $6000. Nhưng sau khi mổ cataract và lắp kính restor nầy, thì Lý Tống phải mang thêm kính 2 tròng với 2.50 độ cận thị và 1.50 độ viễn thị. Theo luật muốn kiện medical malpractice thì phải kiện trong vòng 1 năm. Bác sĩ chơi trò câu giờ bán cái cho manager và ông chủ cơ sở giải quyết, nhưng họ đã kéo dài thời gian cho đến khi Lý Tống quyết định đưa họ ra tòa thì mới biết đã quá 2 tháng của một năm hạn định của luật cho phép. Lý Tống biểu tình trước West Coast Eyecare yêu cầu bồi thường vì làm hư hại mắt. The time to enjoy your tricky victory is over. Now, you should confront the fact that I did not win the case against you on September 26, 2016 not because "I did not proffer the requisite expert testimony from a qualified ophthalmologist" as your second reason to request the Superior Court of the State of County of San Diego for "This matter must be dismissed as a matter of law" but because of your first reason: "Plaintiff's claim against Dr. Patel is time-barred by the applicable statute of limitation." Why did I commit this mistake? Because I did not have the intention to sue you in the first place and, second, I was so innocent to trust in the honesty of the doctors' conscience, the one the intemperately greedy vultures like you guys do not have. I misunderstood that my eyes would take time to "adjust" to non-glasses vision instead of to 2.50 dioper glasses and the glare would be gone if my eye dryness would be treated well. If I knew your real cheat with a play-for-time game through Associates' Manager and Owner, I should ask a lawyer to go ahead with the legal proceedings to request damage compensation with hundreds thousands dollars, not $9,998.00 through Small Claim Court, right after the surgery when you gave me the eye prescription with .50 diopter for my far-sightedness and 2.50 diopters for my near-sightedness (and now, after a year and a half of treating by both of you and two other doctors referred to me by you, my the vision became worse with far-sightednes 1.50 and near-sightedness 2.50 diopters) completely worse than my old vision: 1.75 for driving and no glasses for reading, besides the new big problem of glare and two times black-outs with eye pressure was at 65 degrees due to your malpractice. Everything you did was to be done again by other doctors. For example: The uppper eye lid surgery by Dr. Morton on Feb. 26. 2016 and the restore lensz removal by Dr. Bokosky scheduled on July 28, 2016! 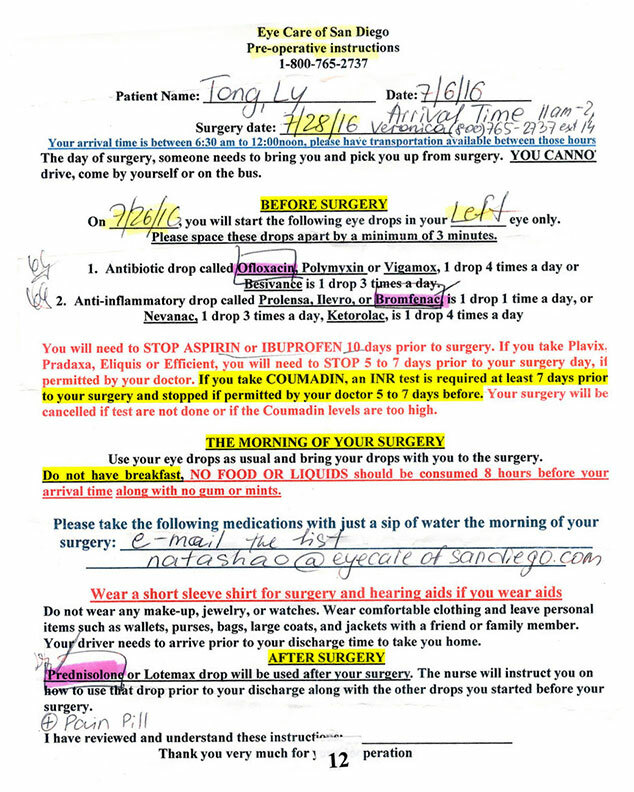 Your malpractice was also testified by Dr. Choplin's statement: "I do not put those fancy lenses like restor lenzs in the eyes having glaucoma" and Dr. Debry: "A multifocal lens is not recommended if you have glaucoma." To avoid the mistake of planting restor lensx in the eye having glaucoma, you made up story that I had glaucoma after your surgery! And this fabricated proof can make your malpractice more serious because glaucoma is an incurable disease which is worse and more dangerous than implanting wrong lenses! 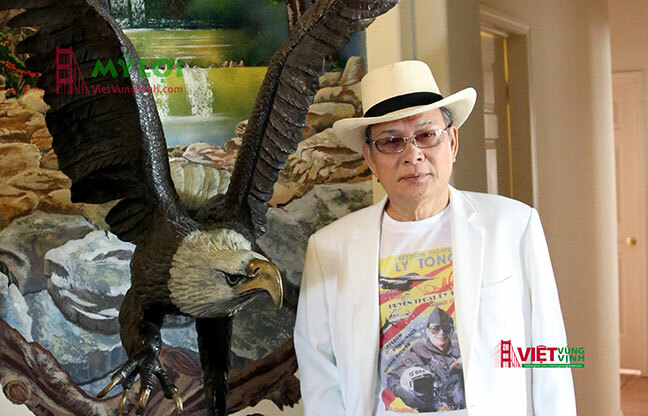 You should know that I'm a NEVER-GIVE-UP man and I cannot repudiate my debt to book publisher, Mr. Huong V. Nguyen, so if your malpractice could not be solved by the court, it should be solved by other means because $6,000 or $10,000 is a small sum of money to doctors like you but it's a fortune or a big debt for man depending on SSI like me. I'm a justice defender and if I cannot defend justice for myself, how can I defend justice for others?! So you can choose between this small sum of money or your disreputable prestige! 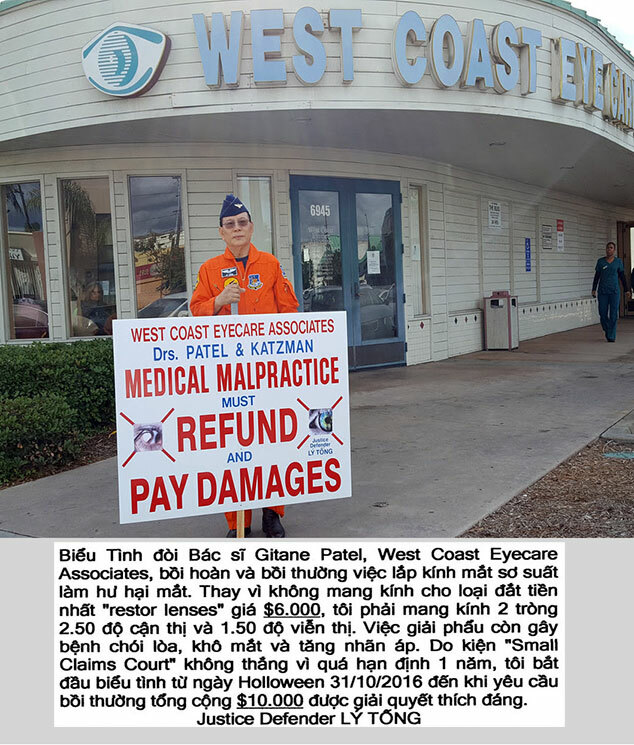 and on my website with the title: "West coast eye care associates' malpractice" so it can appear near your advertisement when people search your web. 1. I have to quit my project worth millions of dollars. I wasted 3 years working on it (from 8 am to 11 pm almost everyday) and it needs 3-4 more years to be accomplished. This project income will help me to refund all the medicare bills paid for my health problem so far and also help me not to depend on SSI payments anymore. You destroyed my effort and hope to be self-sufficient, to relieve my burden off the tax payers' shoulders. You also destroyed my opportunity to contribute my part in the Vietnameses literature because this rhyming encyclopedia will help the Vietnamese poets composing their poems more efficiently and perfectly. 2. I cannot work with laptop as I did before even when using four different reading glasses (2.50, 2.75, 3.00 diopter glasses) and a magnifier. I cannot watch TV either. 3. I have problem of glare and halos when driving at noon, afternoon (by sun) or at night (by lights of cars in opposite direction traffic). 4. I cannot continue to fly around the world to drop leaflets in communist countries as a "leaflet cowboy" to call people to rise up to overthrow their dictators. I spent 23 years in communist prison for my just cause, but now I have to abandon it because of your malpractice. 5. 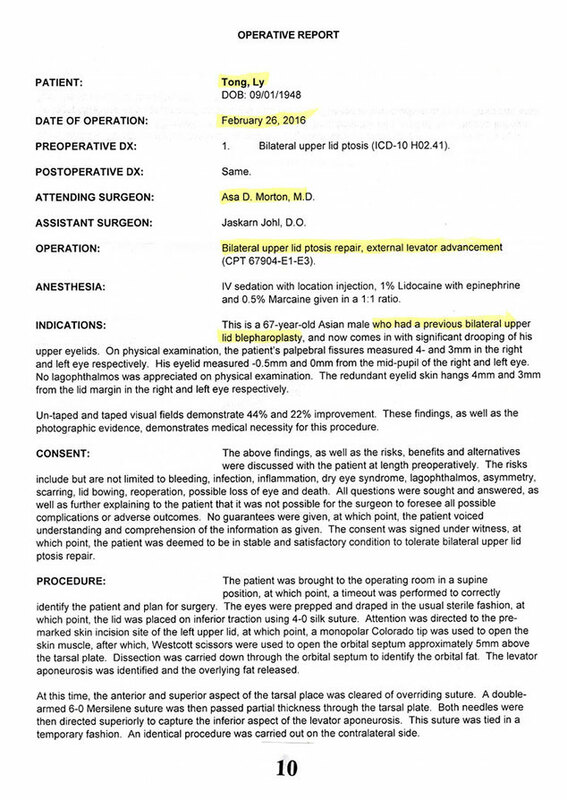 You caused my eye dryness and glaucoma more severe because your upper eyelid surgery was to be done again by Dr. Morton on 2.26.16 and your Restor Lensx must be removed by Dr. Bokosky scheduled on 7.28.16. 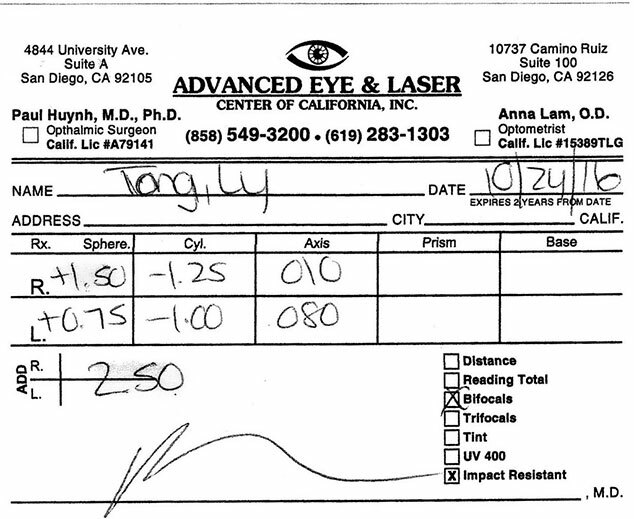 These two doctors belong to Eye Care of San Diego and you are the one who referred me to them. 7. 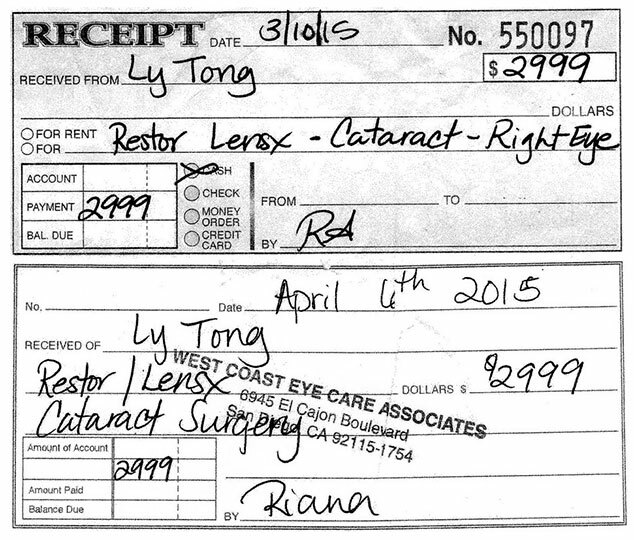 The most important and urgent problem now is to refund this sum of money $9,998.00 ($5,998.00 for lensx implant + $4,000.00 for buying dictionaries and dictionaries' data) to Mr. Huong V. Nguyen, the book publisher who paid in advance for my lens implant cost and data cost because I cannot work on my project any more. We're living in the market-system nation. Any bad product must be refunded. Samsung has issued a mandatory recall of all phones for replacement or a full refund and it will cost them $1.5 billion in losses even there are only 35 Galaxy Note 7 phones having exploding batteries. I'm a world-renowned Freedom Fighter, so you can't get away with your malpractice without paying damages. I expect payment in the amount of $9,998.00 made payable to my book publisher named Huong Van Nguyen at my address: Ly Tong, 2932 Chamoune Ave, San Diego CA, 92105-4358 soon. (I can be reached at telephone: 408-644.0467). If you don't solve this problem, I will apply these two measures 15 days later; that means beginning on October 28, 2016. The day King Bhumibol Adulyadej dies at 88 after his 70-year reigning Thailand.